to spark development and to pull themselves out of poverty. 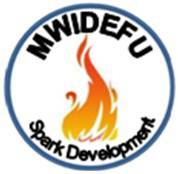 is to be a catalyst for development in Mwika. MWIDEFU is run by volunteers. to keep our overhead costs low. it is not money but people who drive development. in taking charge and accepting responsibility for our own development. can put us on a sound development path.